The heroes of the 1950s are back with big plans for the 21st Century! When Federal enforcers under the hand of Norman Osborn burst into an armory under control of the Atlas Foundation, Jimmy Woo's Agents go head-to-head with the new powers that be. How it all goes down will make the playing field of the modern Marvel Universe more volatile than ever! This edition comes packed with extras, including a 1950s flashback to the Agents of Atlas' first savage encounter with the man now known as Wolverine! Plus, the Avengers must enlist the help of the Agents to help take down Kang the Conqueror! 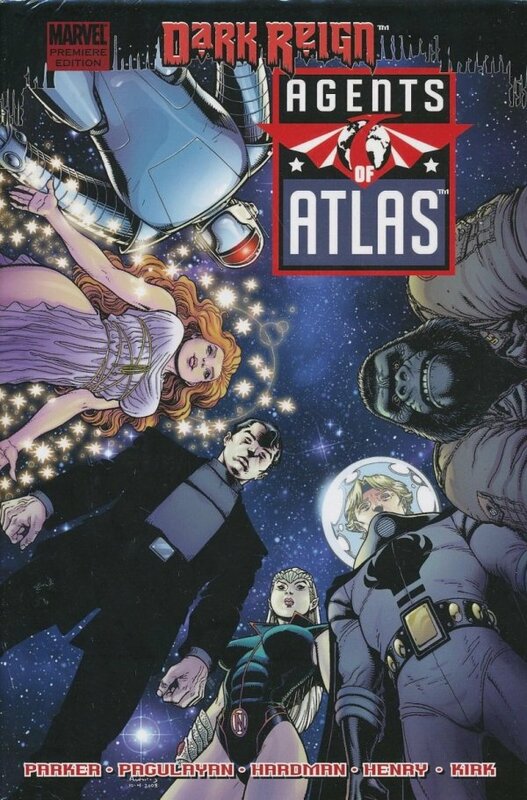 And discover the key role the Agents of Atlas played in Marvel's blockbuster event of 2009 in Secret Invasion: Who Do You Trust? !